Just Reduced!! !Sellers Motivated to Sell!!!!! !Previous Builders Model!!! Large Patio Home 1 of only 2 with a 2 Car Garage in Palm Isles III, also full 3 bedrooms and 2 bath. 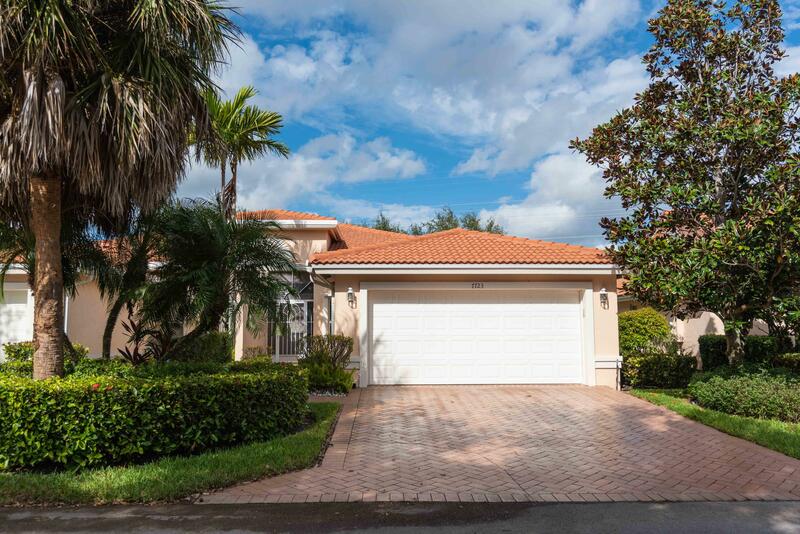 Large screened in Lanai with garden view, Private.Immaculate move in condition. Very bright, tile throughout main areas and carpet in bedrooms. Community of Palm Isles has a very active Clubhouse with over 50,000 sq ft of amenities including Indoor and Outdoor Pools, 600 Seat Theatre of Performing Arts, 8 Har-Tru Tennis Courts, Card rooms, Pickle Ball and a Tasty Cafe for Breakfast and Lunch. This is a Great Place to Live!! !Property is being Sold As-Is with the Right to Inspect.